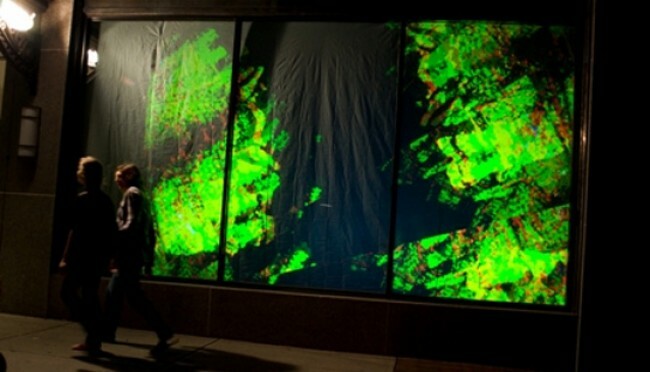 Walk Light Walk is a participatory installation that allows people to interact with and transform live surveillance camera footage into a light based visualization. A video camera with a wireless transmitter is placed in the static, omniscient position of an existing surveillance camera. The video signal is transmitted to a Mac Mini and algorithmically processed using custom software to pick up and visualize movement as a kaleidoscopic pattern.